We work directly with you, your buyer and other real estate professionals you may enlist during the process of selling your home. If you have decided to sell your home yourself, we are here to give you peace of mind through the closing process. This includes researching title requirements checking for outstanding liens, an encumbrance, an easement or any other issues that could prevent your title from being clear. The price of title insurance is mandated by the State and is determined by the amount of the sale price of the property. Check out our rate calculator to get an estimate. 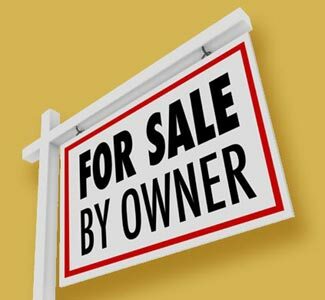 To take advantage of Sargent’s Title Company services, download and complete the For Sale By Owner Agreement. Submit this form to us along with a signed Purchase Agreement with complete legal description. For more information download our For Sale By Owner Packet. Mail check or bring to our office: Sargent’s Title, 625 South Grand Traverse Street, Flint, Michigan 48502. Please note: While Sargent’s Title Company is fully licensed and well respected in the title and escrow industry, Sargent’s is not a licensed real estate agent or practicing real estate attorney and cannot act in these roles or provide advice in place of these professionals. We would be happy to refer you to one of these professionals at your request. Who Pays Closing Cost - Buyer or Seller?